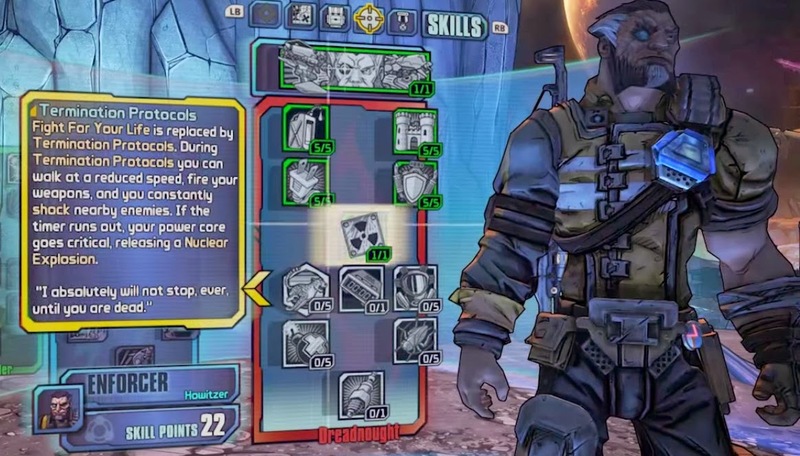 Now for some info on Wilhelm in Borderlands: The Pre-Sequel. Rev3Games has a video detailing his Skill Tree. His action skill is Wolf and Saint where he deploys 2 drones named Wolf and Saint. Wolf attacks while Saint stays back and heals you. 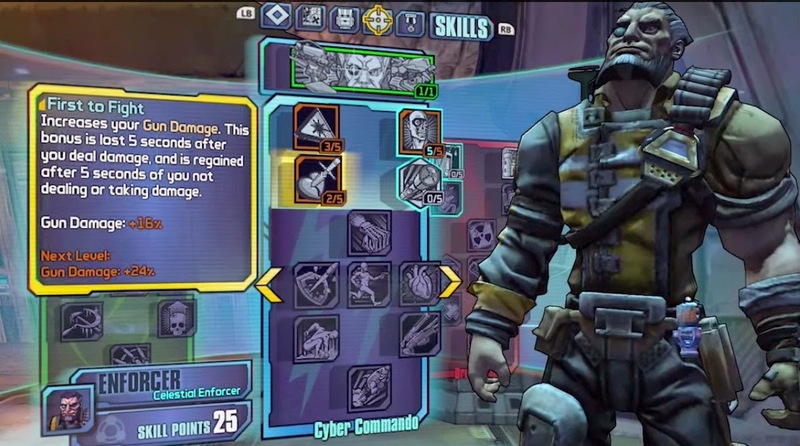 The Cyber Commando Skill Tree is more than just a skill tree. 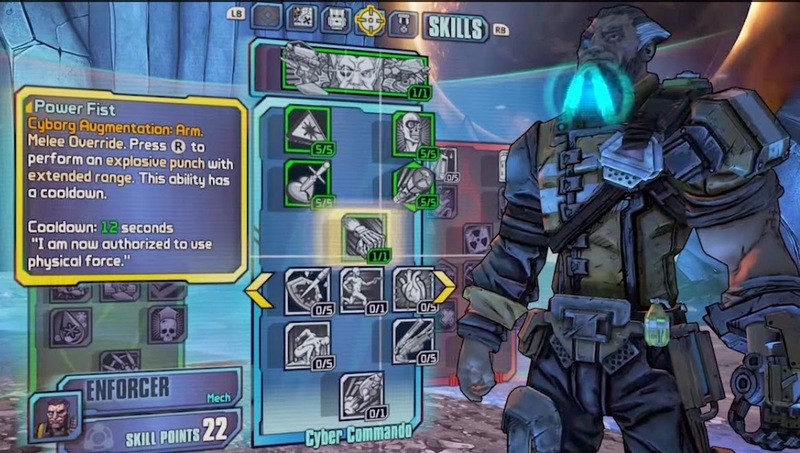 It is made up of Skills that transforms Wilhelm into the Cyborg that we see in Borderlands 2. 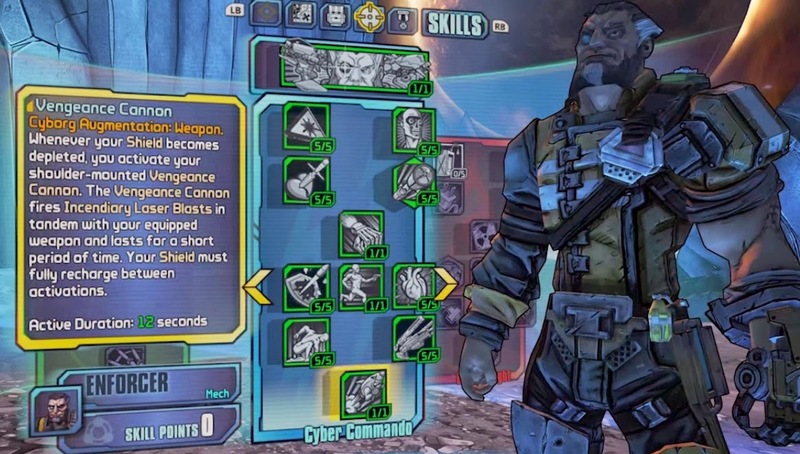 Power Fist gives Wilhelm a cyborg arm that can be used as an explosive melee punch. Vengeance Cannon looks badass. Firing lasers along with whatever guns we have equipped will cause some heavy damage. First to Fight will be very crucial in deciding how you play as Wilhelm, I feel. That is if you want to take full advantage of the benefits of this skill. The Hunter Killer Tree focuses on improving Wilhelm's offensive skills and the Wolf Drone. Lastly, there's the Dreadnought Skill Tree, which has some cool co-op skills and skills focusing on the Saint drone. What's a Cyborg without some robotic skills? Termination Protocols replaces "Fight for your Life" where you can still walk around doing some damage. And if the timer runs out, you release a Nuclear Explosion. Pretty awesome! There doesn't seem to be any jump-slam skills for Wilhelm so that's a little disappointing. So, it looks like certain characters can use the jump-slam for added effects but not for others. Looking at IGN's detailed skill guide, there's also 2 skills to ensure the drones don't go out quietly. If their summon duration ends, gets recalled or die, Wolf will dive-bomb enemies with an explosion, while Saint deploys a Healing Zone. Let's check out gameplay by Gamespot..
and some more by Escapist..
and of course.. 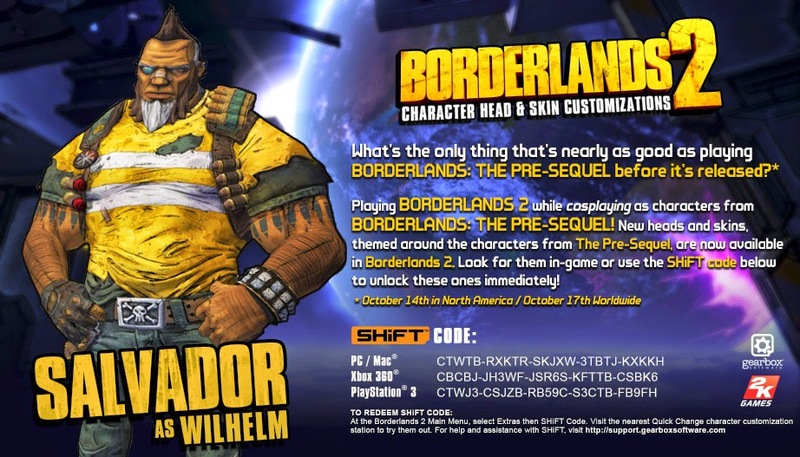 The Shift Code for Salvador to play dress-up as Wilhelm..
Stay tuned for the rest of the characters..